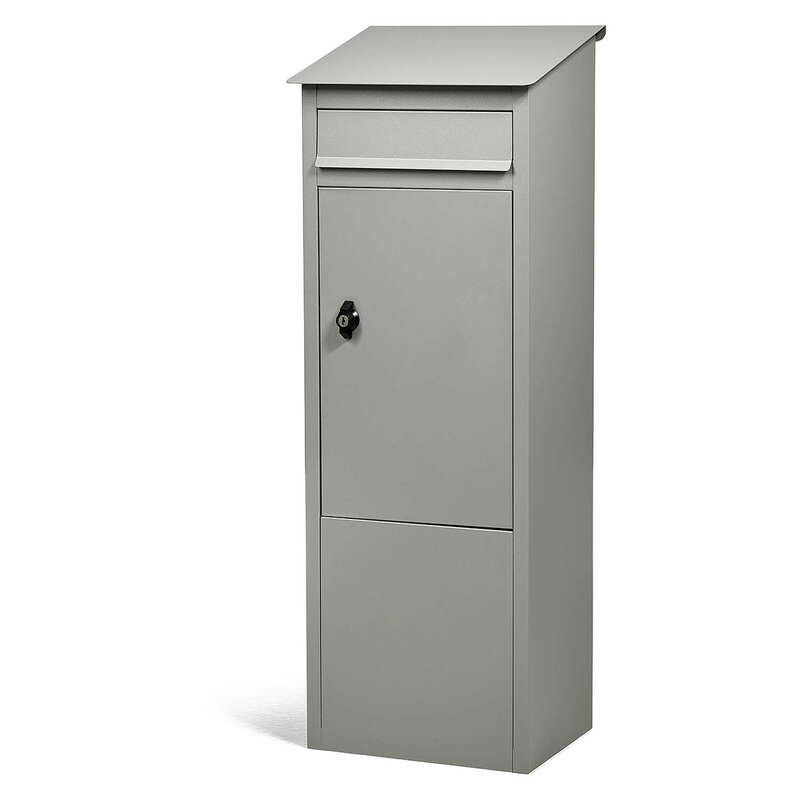 HABO mailbox standing. Gray. Executed in powder coated aluzink plate. The mailbox is delivered with 2 keys and a foot.